Though Sikhs are mainly concentrated in Panjab after the Partition of India in 1947, Delhi has the distinction of having the largest population of Sikhs in any city—nearly one million. 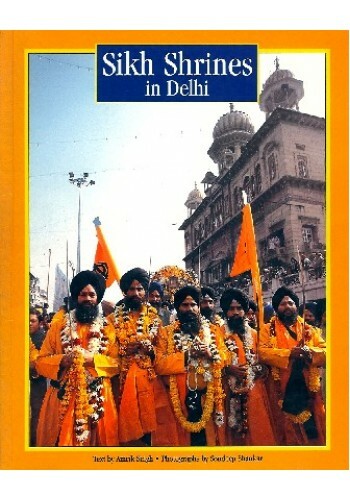 As the capital of India, Delhi has been associated with Sikhs since the inception of Sikhism. Five Sikh Gurus---Guru Nanak, Guru Hargobind, Guru Harkrishan, Guru Tegh Bahadur and Guru Gobind Singh---visited the city. A Sikh hero, Banda Singh Bahadur, was martyred in Delhi. Apart from Gurdwara Sis Ganj, where Guru Tegh Bahadur was executed under the orders of the contemporary Mughal Emperor Aurangzeb, and Gurdwara Rakabganj, where the Guru's body was cremated, there are various other historic gurdwaras in Delhi. Gurdwara Nanak Piao was built in memory of Guru Nanak's visit; Gurdwara Majnu ka Tila is associated with Guru Nanak and Guru Hargobind; Gurdwaras Bangla Sahib and Bala Sahib are associated with Guru Harkrishan; Gurdwaras Moti Bagh and Damdama Sahib with Guru Gobind Singh; Gurdwara Mata Sundri with Guru Go bind Singh' s wife, and a gurdwara in Mehrauli commemorates the martyrdom of Banda Singh Bahadur who liberated Panjab from the Mughals. The Sikh community in Delhi is influential and plays an active role in the social, economic and political life of the city. The historic and other gurdwaras draw a large number of Sikhs from Delhi and other states everyday. Donations received from the devotees are used by the management committees of the gurdwaras to operate educational, medical and social institutes in the city---­realising the Sikh ideal of sarbat da bhala. 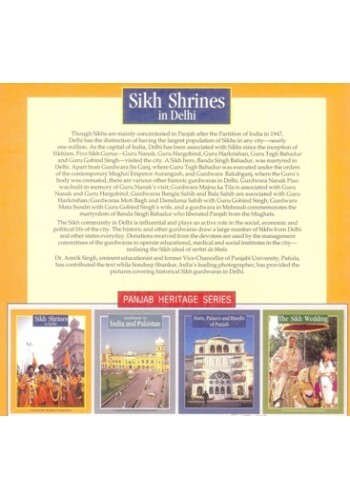 Dr. Amrik Singh, eminent educationist and former Vice-Chancellor of Punjabi University, Patiala, has contributed the text while Sondeep Shankar, India's leading photographer, has provided the -pictures covering historical Sikh gurdwaras in Delhi. From the Backcover of the Book 'Gurdwaras in India and Pakistan' By Mohinder Singh Gurdwaras ..
Foreword of the Book 'Takhat Sri Hazur Sahib - Journey Into Eternity' By Dr. Mohinder Singh W..
Introduction to the Book of 'In The Footsteps of Guru Gobind Singh' By Dr. Jaswant Singh Ne..
Table of Contents of the Book 'The Essence of Sikhism -1' By Tejinder Kaur Anand ..
Introduction of 'Tell Me About The Sikhs' - Book By Anurag Mehta/Vaneeta Vaid The Sikhs are..
GURU KIAN SAAKHIAN : AN APPRAISAL Very truly, sources are life and blood for the discipline of ..
Introduction To 'A Hisrotian's Approach To Guru Gobind Singh' By Surjit Singh Gandhi The presnt w.. Preface To 'The City Of Amritsar - An Introduction' By Fauja Singh Growth and..
Editor's Note To 'Sikhism And The Sikhs' By Sirdar Kapur Singh Late Sirdar Kapur Singh (1909-1986.. 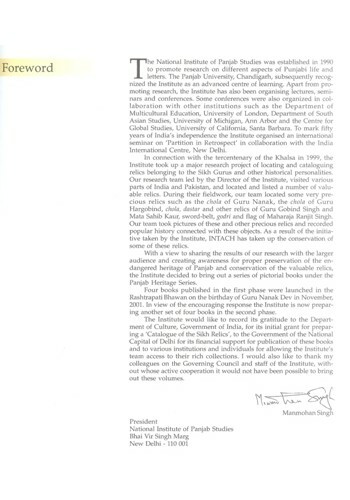 Preface To 'Rise Of The Sikh Power In The Panjab' By Sohan Singh Seetal The long drawn out strugg..
Frontcover Of The Book 'The Life And Times of Banda Singh Bahadur' By Harish Dhillon Banda Singh ..
Summary of 'Anandpur The City Of Bliss' By Dr Mohinder Singh Anandpur Sahib, the City o..
From the Backcover of 'Banda Singh Bahadur And Sikh Sovereignty' By Harbans Kaur Sagoo In thi..
Tegh Bahadur, the ninth Guru of the Sikhs, lived during one of the most turbulent time in Indian his..
Summary Of 'Historical Sikh Shrines Of Jammu & Kashmir' By Commodore Dalbir Singh Sodhi .. Preface To 'Martyrdom Of The Innocents And Guru Gobind Singh's Zafar Namah' By Teja Singh On my v..